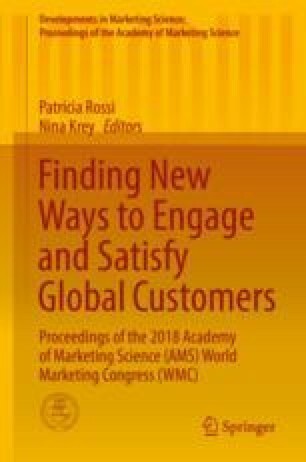 Relationship quality (RQ) is a broad theme in the relationship marketing studies, and both its antecedents and consequences receive a great deal of interest, because RQ provides the best assessment of the relationship strength (Crosby et al. 1990). In many studies, the widely accepted construct of RQ is reflected through commitment, trust, and relationship satisfaction. This study investigates the interpersonal factors, explicitly similarity, and gender identity, which can be considered as characteristics of the two relationship parties. These antecedents may influence the RQ both direct and via the path of relational selling behavior (RSB). Similarity is a measure of sharing similar personal attributes or characteristics in a dyadic relation (Smith 1998) and also common interests and values (Doney and Cannon 1997). It has a significant effect to interpersonal attraction, social incorporation, and likeability (Baron and Pfeffer 1994). Similarity-attraction paradigm suggests that people like others who are similar, rather than dissimilar, to themselves. Based on the theory, we believe that similarity (in terms of lifestyle, interests, preferences, values, etc.) between buyer and salesperson will contribute toward the RQ directly and has an indirect effect through its influence on the RSB of the subsequent sales person. Gender schema theory (Bem 1981) explains that every person has a different gender identity based on their masculinity and femininity, which shapes their behaviors. Thus, any change in the gender identity influences mainly information processing and judgment process (Bem 1981). Masculinity as a construct measures the value placed on material things, power, and assertive behavior as opposed to the value placed on people and nurturance which is captured by femininity (Barry et al. 2008). For that reason, we believe the increased femininity has a positive bearing on RSB, but increased masculinity has a negative effect on RSB. RSB is a tendency which is an essential characteristic of seller and measures sellers’ positioning toward relationships (Athanasopoulou 2009). Relational selling generates value while building close partnership between buyers and sellers. The relational selling involves getting extensive knowledge about the buyer, in addition to the commitment, trust, and cooperation (Smith and Owens 1995; Wilson 1995). Thus, RSB has direct effect to the RQ components. The measures of this study are based on existing scales in the literature and a convenience sample of B2B buyers via face-to-face data collection process. A structural equation model (SEM) is used to test the proposed relationships among the study constructs. The results of SEM indicate that both RSB and similarity have positive influence on RSB. These results are in parallel with our expectations. On top of this, similar to our expectations, seller’s femininity has a positive effect on the RSB. However, seller’s masculinity also have positive influence on RSB, which is the opposite of our expectations.